Welcome back to part three of our second three part series on environmental issues in our oceans. You can catch up on part one here and part two here. Our oceans need our help if we want to keep exploring, enjoying and existing! Saving Blue strives to be not only an educational resource but to also serve as a platform to help you get involved with programs and businesses who are leading the way in making a change for coral reefs. Below, we have shared several companies, what they do, and how you can get involved with them to make a difference for our reefs. 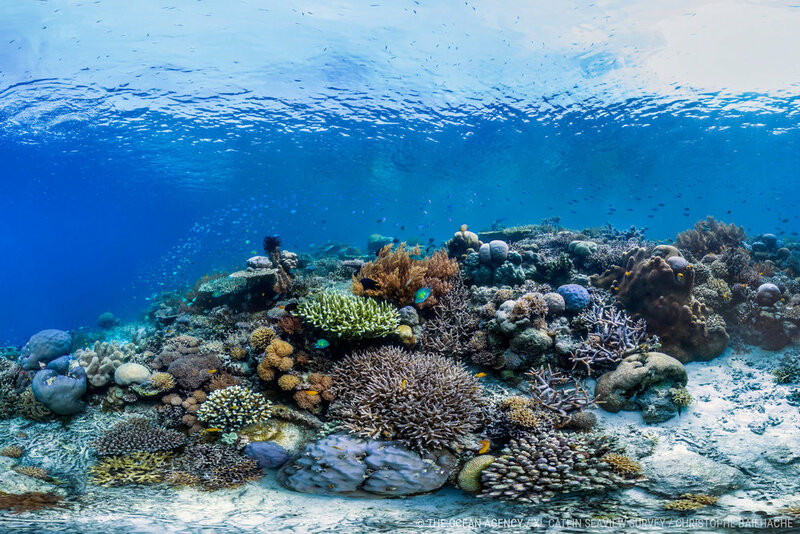 Who: 50 Reefs is an initiative launching a massive global plan to save the coral reefs.The goal is to identify the least vulnerable reefs and reefs that have the greatest capacity to repopulate in the hopes that one day our reefs will be able to flourish and thrive again. How you can help: Like Saving Blue, 50 Reefs aims to bring these issues to light with proof these events are happening. Through their “ready-to-share” pictures from coral reef dives around the world, you too can share these pictures with friends and family on social media outlets to engage in conversations about these events. Who: Oceana is the largest international group dedicated to ocean conservation and preservation. Their goal is advocate for our oceans through public policy and make big changes through governmental outlets. Through various expeditions, Oceana is making a difference for marine life in various aspects of the ecosystem...and coral reefs are their next project. How you can help: On Oceana’s Take Action page, you can find tons of ways to help our oceans. Whether it be donating, making personal changes in your life, or becoming a “Wavemaker” and joining Oceana in a fight for our oceans, there is plenty of information on ways you can get involved both near and far to our waters. Who: Of all these organizations the NOAA is probably the one you might have heard of. The NOAA is an agency dedicated monitoring and protecting our oceans through science. Here you will find the most accurate and recent scientific data on changes in our waters. How you can help: The NOAA has several branch projects dedicated to stopping climate changes in our waters. Their breakthrough project call The Ocean Cleanup, is on track to make major steps forward in removing pollution from the ocean. In fact by 2018 this project will begin in forward motion to quite literally, cleaning up our waters. Check them out to see how you can get involved with these breakthrough technologies. When it comes down to it, the most major influences of climate change in our oceans is human activity. If we really want to make a difference, it must start from the source of the problem: Us. There are so many little ways we can make changes in our lives that will contribute to the greater health of our planet and oceans. From recycling to traveling less via airplane, if we all come together to cut out a few things from our daily lives that contribute to climate change, this world will slowly but surely begin to recover from the damage caused so far. While there is truly never going to be a ‘quick fix’ to these problems, check out Ocean’s page on 10 small things you can do to help our oceans, here. It’s true, our oceans are changing in drastic ways. 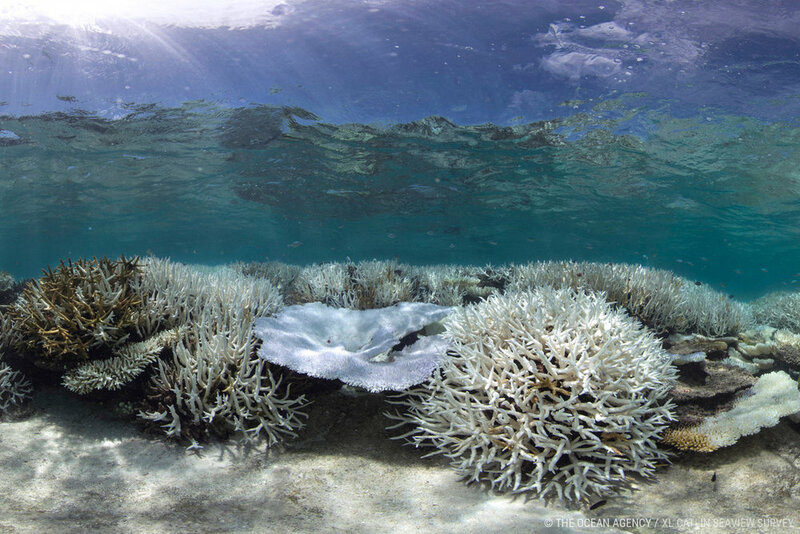 And coral bleaching is perhaps one of the most visual displays of how much it is hurting. But if you’re reading this you, have already made a difference for our environment by taking the time to learn about it. These subjects are difficult to reflect on but we must move forward with full force knowing that our actions will make a difference, no matter how small. I encourage you this week to dive in deeper to these issues by starting a conversation with friends and family about these issues. Encourage them to watch Chasing Coral and join a campaign to see what you can do to make a difference in your community.